Step 1: Preheat oven to 190°C fan forced/ 375°F and line a baking tray with baking paper. Step 2: Cook the bacon in strips in a saucepan. 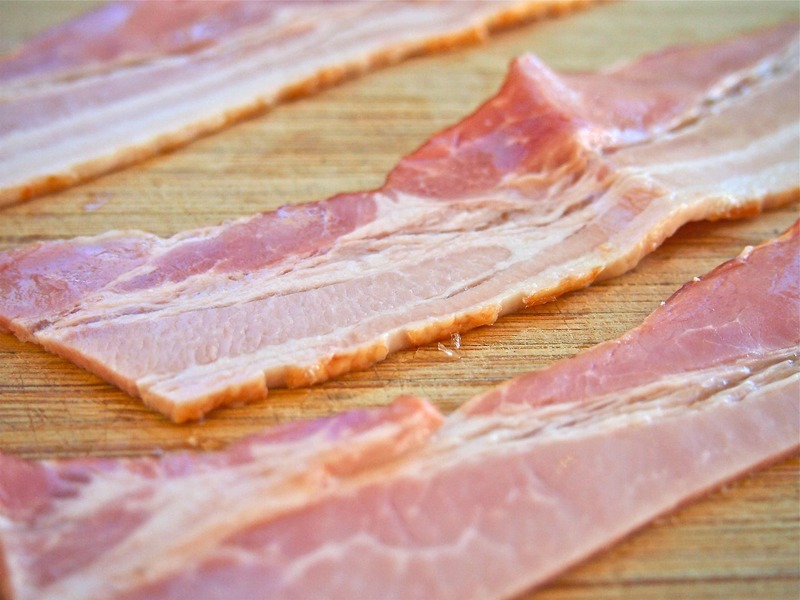 Once the bacon is cooked, then chop it into smaller pieces – I find it is much easier to do it this way rather than chopping it into smaller pieces before cooking. Once chopped, place the bacon in a small bowl to the side. *Note I find it best to use the same saucepan in Step 2 so the bacon flavour can be infused and it also means less cleaning up. Step 3: Add the spinach, butter, nutmeg (1/2 tsp) and almond flour (1/2 tbsp) to the saucepan, and allow to cook until the spinach has wilted (approx. 2 minutes). Season with salt and pepper and remove from the saucepan and place in a small bowl to the side. Step 4: In a separate bowl crumble the feta. 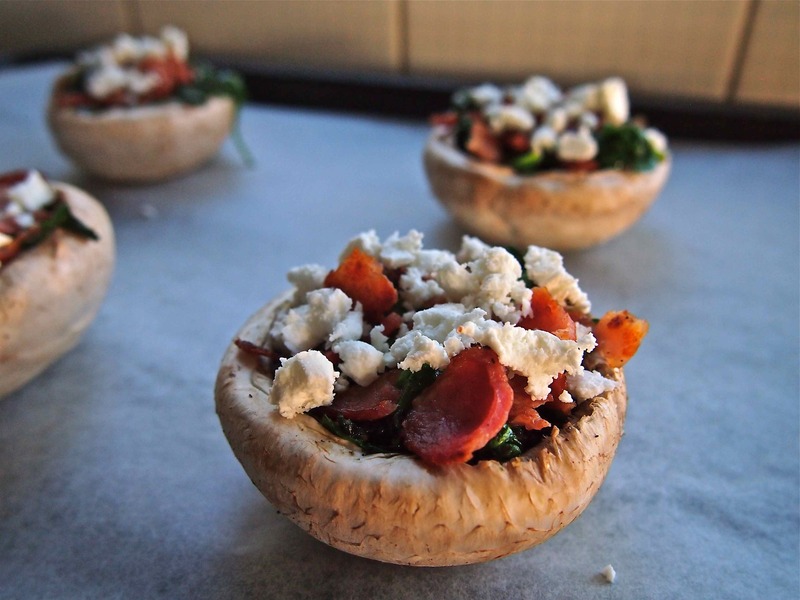 Step 5: Lay the eight mushrooms out on the prepared baking tray, cut off the stems of the mushrooms, and fill with all the prepared ingredients (spinach mixture, bacon and feta). Step 6: Place the baking tray in the oven for approx. 15 minutes or until the mushrooms are lightly browned/tender. Note* you will need a shorter period of time if you are using small mushrooms. 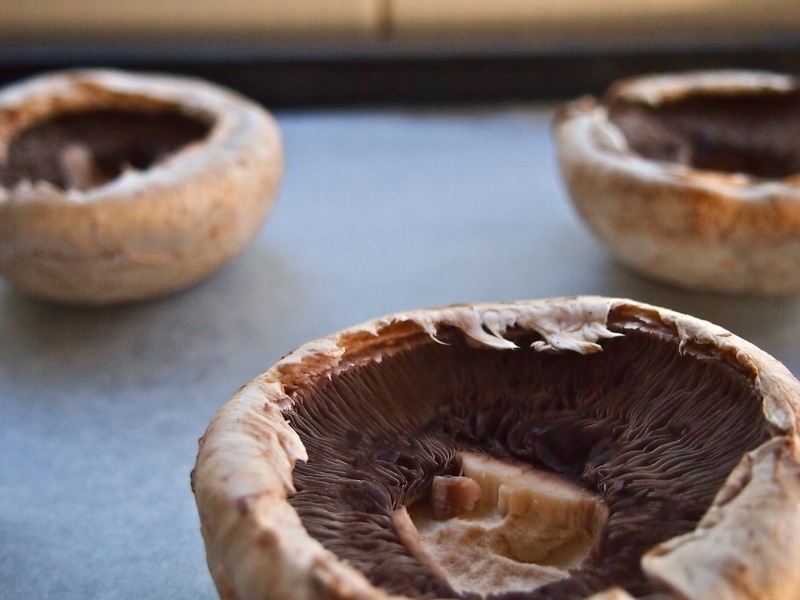 Step 7: Take mushrooms out of the oven and serve hot. Alternatively you can grill the mushrooms on a medium heat for 6 – 8 minutes. Step 2: Cook bacon in a pan. Step 5: Line the mushrooms on the baking tray. Step 6: Fill the mushrooms with the spinach mixture first. Step 6: Fill mushrooms will all the prepared ingredients. These tasted really juicy with a strong mushroom flavour with a hint of nutmeg. The mushrooms are very filling, particularly the larger ones, in fact the original recipe used the baby mushrooms but I thought that it would be too fiddly to use the baby mushrooms. If you are using the mushrooms as finger food it would probably be easier to use the baby mushrooms as people could just pop them straight into their mouths without worrying about any of the juices getting on their hands. 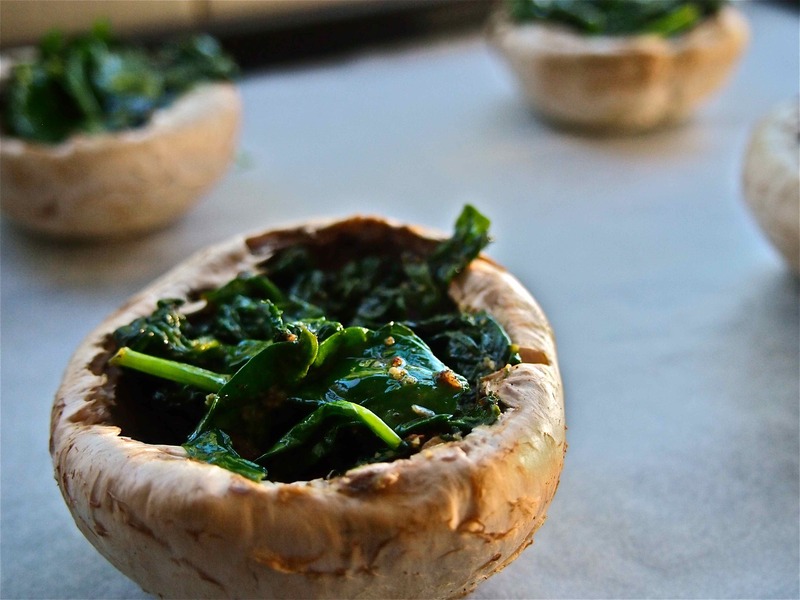 If you are serving them at dinner or just for yourself go the big mushrooms. I reckon they look better and I’ve always felt the bigger mushrooms were always much more fancy. If you have a nut allergy you can omit using the almond flour. The purpose of using it, is that it soaks up some of the juices. Enjoy these they are so soo tasty! You can easily switch out the ingredients for other flavours if you want, but I definitely recommend trying it this way first unless you aren’t a fan of any of the ingredients! Recipe is from blogger I Breathe Im Hungry and can be found here. Haha thank you! They really are so tasty! It is so yum – it’s totally worth the effort of not eating all the ingredients while making it! These look so fun and delicious! Love your polish, too! Looks delicious and very beautiful too! Thank you! They taste really good :). Thank you. They are really nice and juicy. Great thing is you can mix the flavours up a bit if you want :). They are full of flavour :). Thank you Pmadiona for the lovely comment – they taste amazing as well :). Thank you! If you give them a try you’ll have to let me know how you go :). 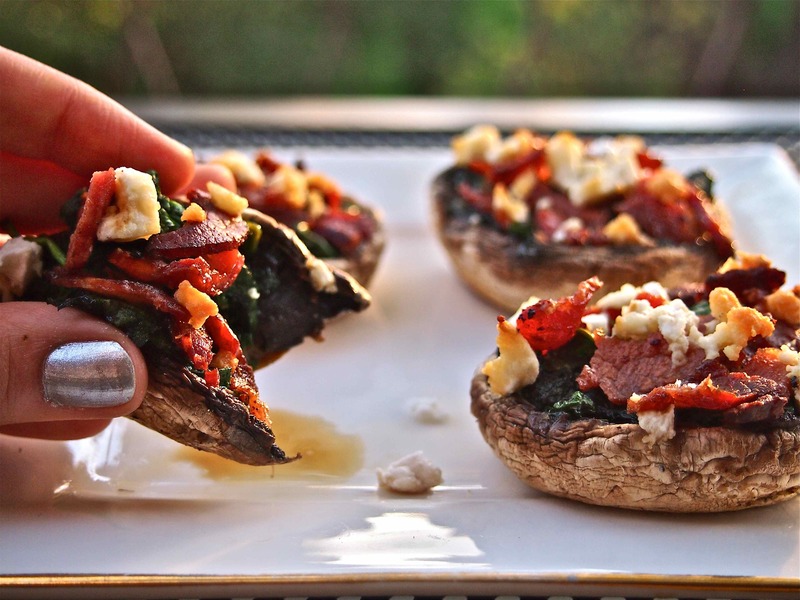 Mushrooms stuffed with anything is a winner to me! These look so yummy and so easy to make. Yeah there are probably a lot of winning combinations for stuffing mushrooms but I can vouch for this one :). These looks so delicious! My mouth became water. I must try them. Have a great week-end! Thanks mariannegv! It takes really good which is why I keep going to it as a snack :). 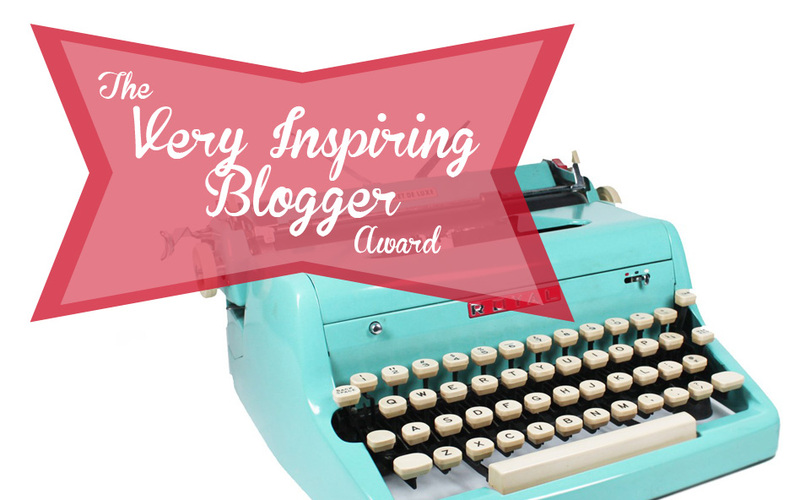 You should give it a go if you have some time – have a great weekend as well :).